For those of you who are still faithfully watching Grey’s Anatomy and caught last night’s episode I am as shocked as you are. How? Why? Who? Seriously?!?! 11 years of great episodes, ups and downs, airplane crashes, patients, Neuro-surgeries, debates, heartaches, and losses, we are faced with this? Sigh. The story goes as the story goes, do not question the author. Although some things in Grey’s Anatomy are far-fetched and aren’t very realistic (such as the cloned cancer Meredith took home with her), it’s still a fairly reasonable series to follow. It seems like it won’t last much longer but we can always watch reruns. Come on, we had the same feeling of utter loss when Friends was over so we need to prepare ourselves. We can always live on reruns. Meanwhile, keep Thursday nights for your TV shows and the rest of your week for reading. Grey’s Anatomy shook us for the past 11 years and another type of Grey shook the world: 50 Shades of Grey. So here I am, a couple of years ago, walking naively in what I believe to be the Virgin Mega-stores in Dubai when I see piles of beautifully stacked books. 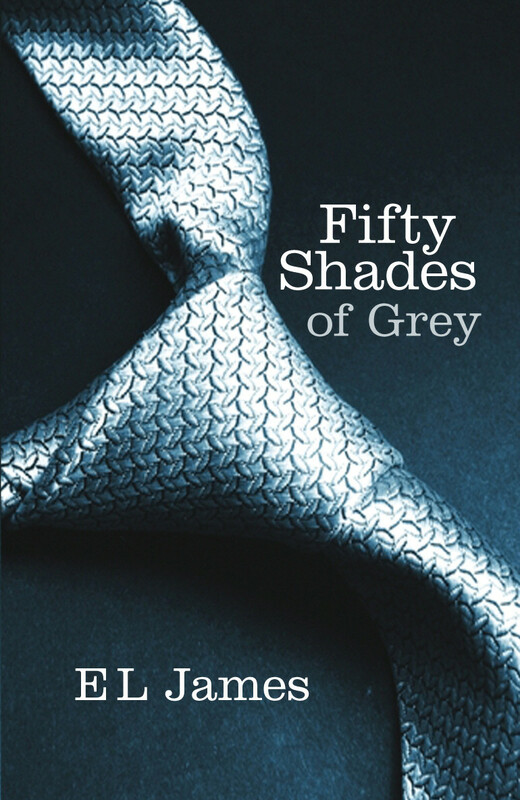 I walk up to the pile and, out of curiosity, pick it up: 50 Shades of Grey. Hmmm… Interesting. I think I had a mental link to Grey’s Anatomy and assumed it was good. The way it was marketed around the bookstore was ridiculous! They must have had at least 20 piles of 30 books each AT LEAST! The author apparently signed a GREAT publishing deal and the marketing team did a great job to encourage people to buy it. Mental note to self: do not judge a book by its cover or by the way it’s being displayed. Let me be clear about something, I don’t read the back cover unless it’s REALLY necessary but since it seemed like a great book, I decided the front cover was enough regardless of the fact that it was fairly ambiguous. The image of the tie was honestly very intriguing and it seemed like a nice little romance, it seemed to be the “it” book of the season. Therefore, being the very fashion forward person I am, I bought it. Fast forward: a few months after being piled up in my “to read” pile, I talk about it to one of my friends who tells me that it’s basically a dirty little book. Everything she said was news to me. I was like a five year old being told that Santa didn’t exist and couldn’t believe what I was hearing. I had flashbacks to the book store and how I looked to make sure people saw me buy the fashionable book, then I had a flashback to flipping the book over and thinking I won’t read it because it would ruin everything. Ah the many times I could have said NO. The many times I could have saved that money. And the way I felt about being a blind follower was just painful Then it hit me, what if I READ it!!! What if I started reading it and the confusion grew with every page? That would have been something! 2- If you have a bad book, you’re stuck with it forever because you don’t want to seem tasteless for giving it to someone else. Hence, the book will stay in your shelf until one of your grandchildren finds it and will assume you had a weird life. 3- Spoilers are better than wasted time and money. Read the back cover of the book. 4- Don’t buy a book because it’s in fashion, but a book that you will enjoy and is worth buying even if you have to spend time choosing it. 5- Listen to your friends, they usually have something important to say. Yeah. I am a season behind, and no longer have any reason to watch it. Whoever ruined it for you was apparently very emotional, yet it’s still worth watching.